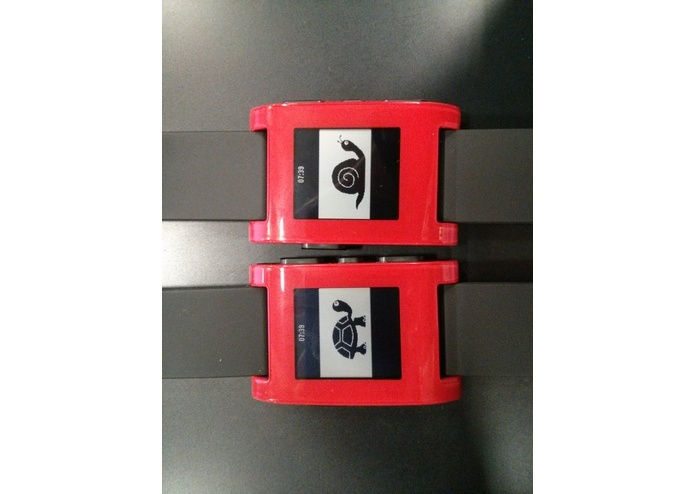 We developed two sprite animations that can be used as Pebble face watches. This was meant to be in the greater context of creating a gamified sports app where users gain points by working out (either jogging, or cycling). The user was to unlock sprites and icons to motivate him/her as he progressed through tougher challenges. An achievement system based on the current physical abilities of the user was an interesting perspective for our app. Due to time constraints and some sdk-related hardships, we were unable to complete a fully functional prototype. The parts were too sparse to be presented as a whole, this is why we at least wanted to demonstrate the facewatches.